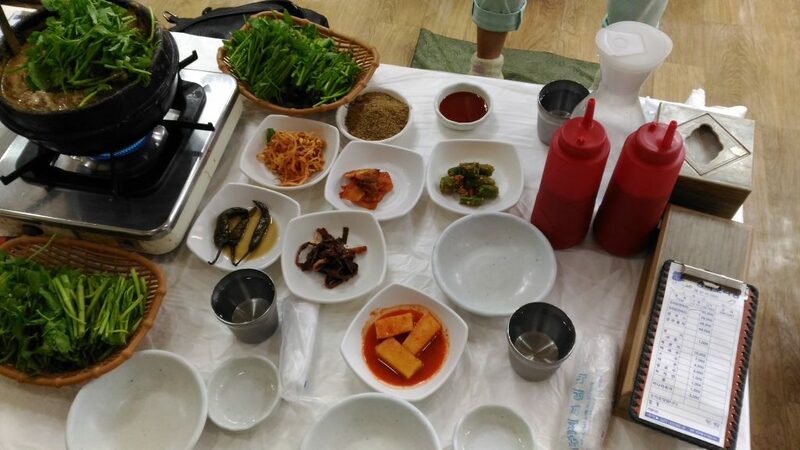 After we checked into Hanokstay at Gyeongju, we were ready to explore the city, The plan was to walk around the city and eat some good food. It was already dark so we went to see Gyeongju Donggung Palace and Wolji Pond. It looks great as the palace, trees are lighted in a way to reflect in the water pool. We also walked around in the park next to palace. There was some cultural festival going on. We watched it a bit and then I saw some 3D printers. Yes, there were stalls for various things one of them had 3D printers printing cultural items from Korea. They couldn’t speak English but they were very nice and hence we could converse in broken keywords. 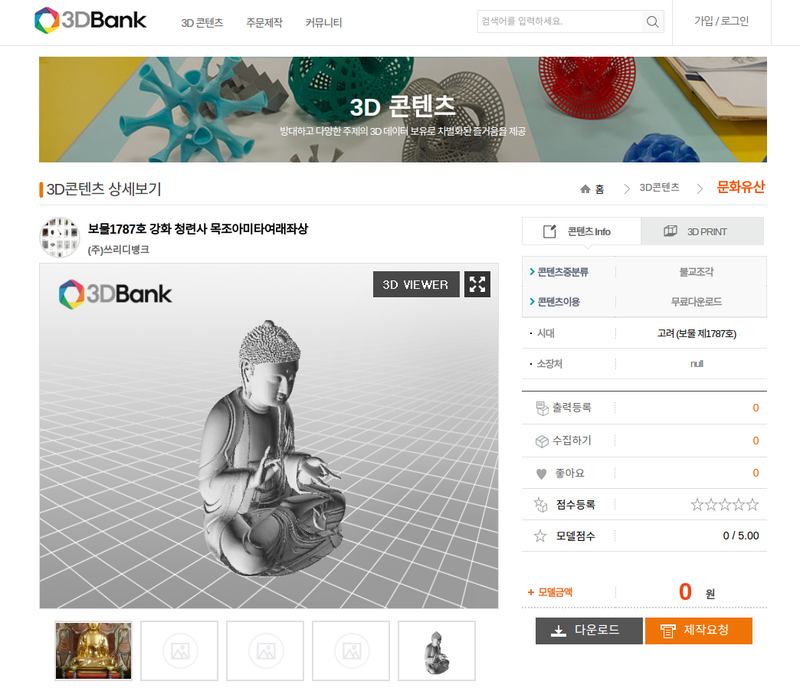 Apprentley they have thousands of Korean culture related items scanned and uploaded to 3D Bank. Anyone can register and download. The CEO said lot of students and schools use it. My favourite item is a Buddha, I will print it once I get back to India. Now Imagine if we had a similar bank for all the items from India. 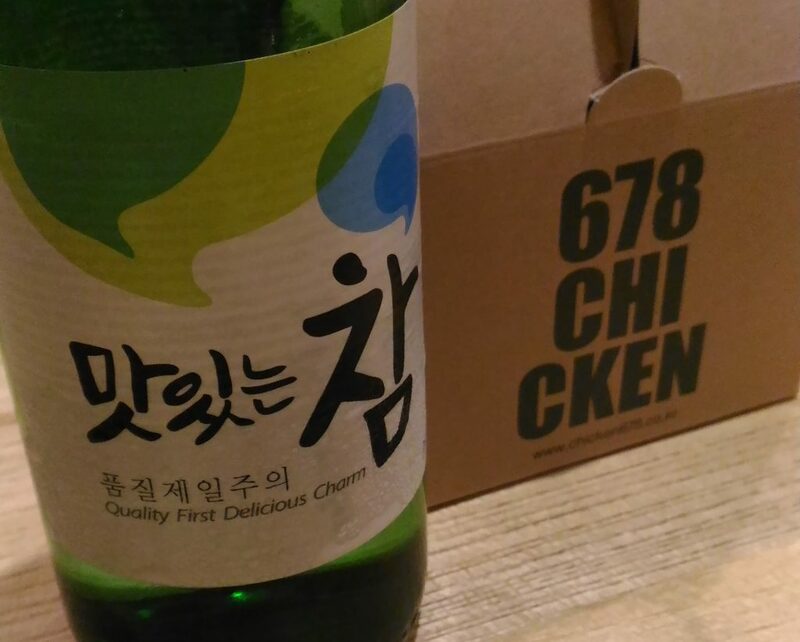 After that we went downtown Gyeongju to eat some Korean chicken with Soju @ 678 Chicken and Beer. Soju and Chicken, great combo. Next day we woke up late. We wanted to book tickets to Gwangju before we did anything. 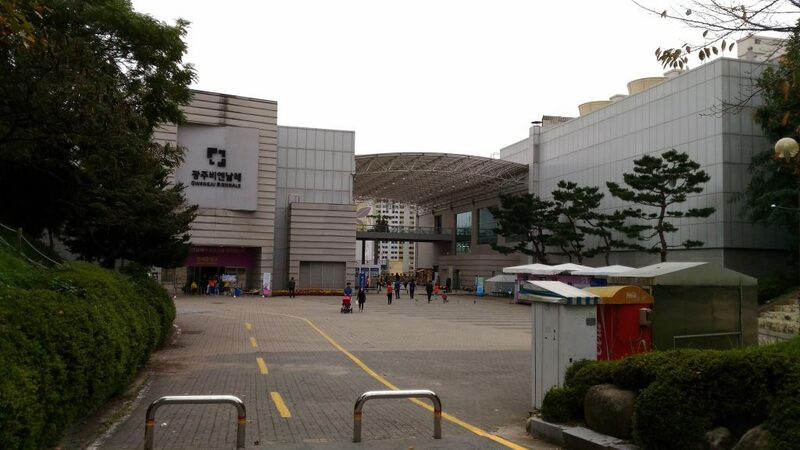 We went intercity express bus terminus and bought tickets for to Gwangju. After that we started our search for the best place to eat. 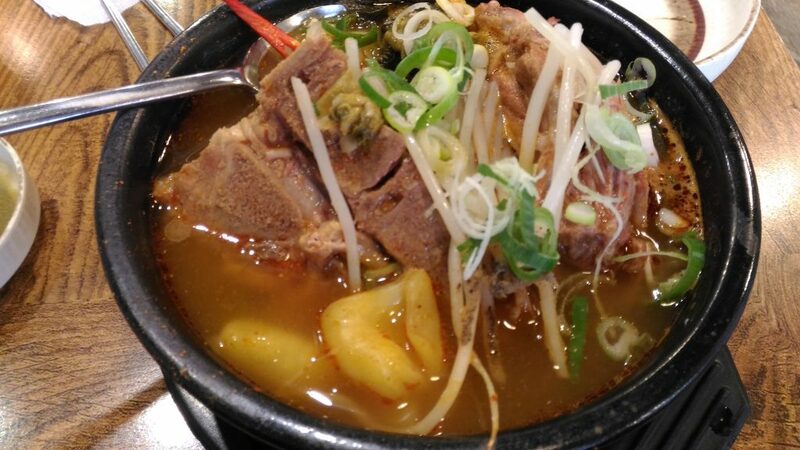 We reached a place where we had the best pork rib soup. Gwangju walking to get some pork soup. By then it was four and our bus was at 1640. So we paid a small visit to the university our friend was at before getting on to the bus. But just before getting onto the bus we checked if there was a ticket for our friend. It was available. So she joined us to Gwangju. The bus ride to Gwangju was fast. We reached around 8pm. We found Ashleys in the terminal and hence had the dinner. It was a buffet. It was great fresh food and we ate a lot. We had booked our stay at Pedro’s house. We caught a taxi as it was nearby and we were three of us with luggage. 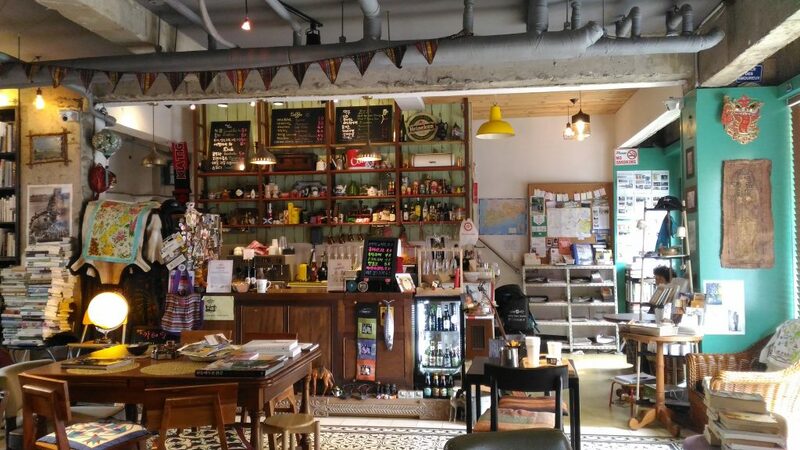 Pedro owns two guest houses with sixteen rooms and a cafe n travel theme. He is very friendly and helpful. 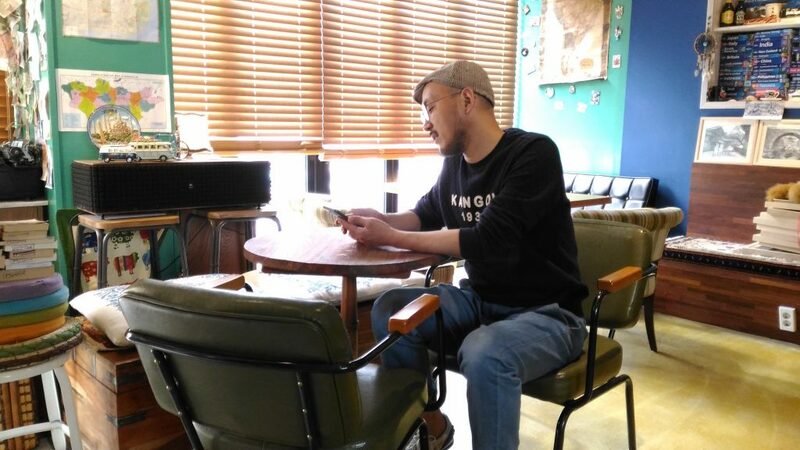 I think Pedro’s house is one of the best place to stay in Gwangju. 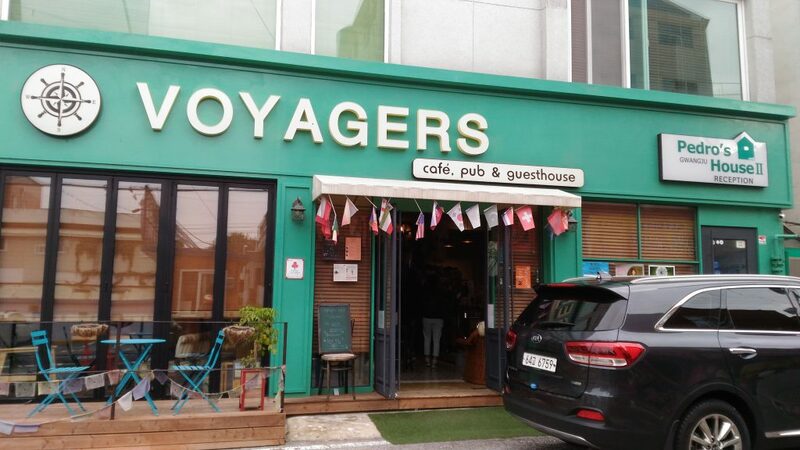 Pedo’s café is called voyages. His guesthouse is next door. Inside pedro’s cafe. Its like traveller’s museum. Next morning we woke up late and had our free but simple/great breakfast at Pedro’s cafe. 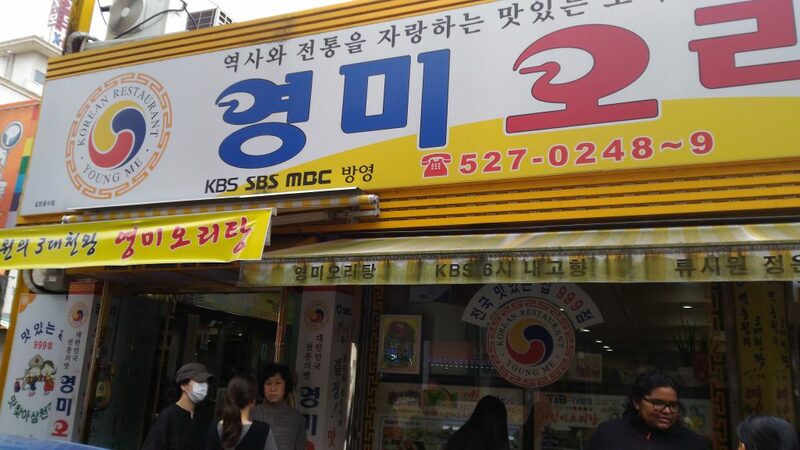 Our main goal was to eat duck before we catch a bus to Mokpo. So we went to duck street to eat. Pedro had advised us to take a full bird. We did. 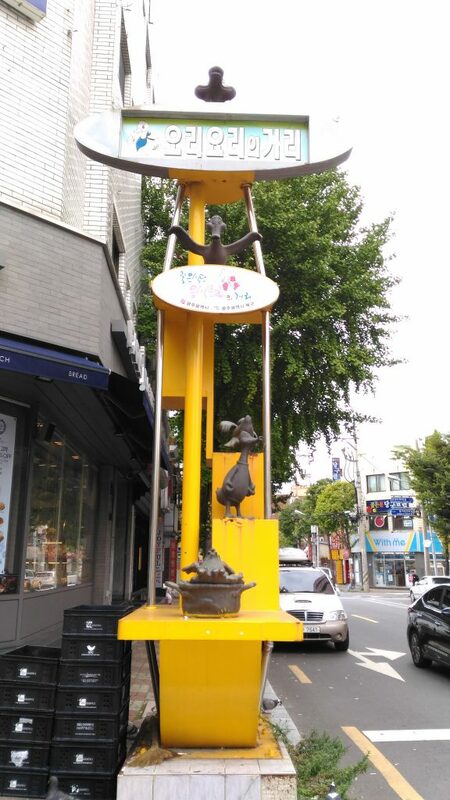 We went to Yeongmi Oritang. 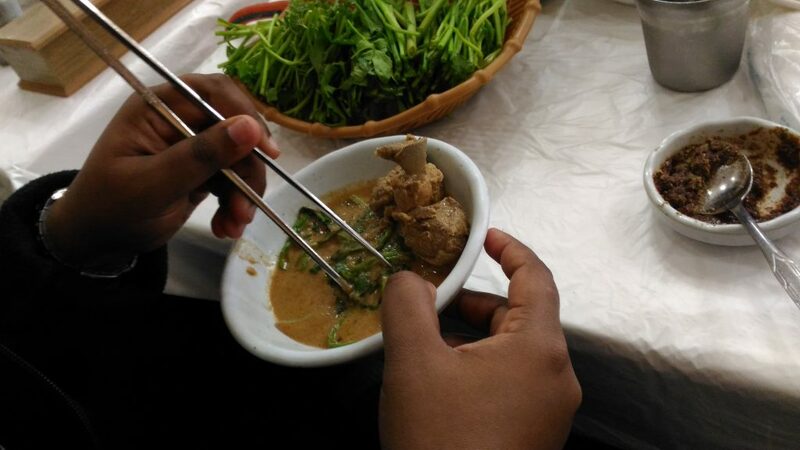 Yeongmi Oritang has been serving up duck stew (oritang) for over 80 years. 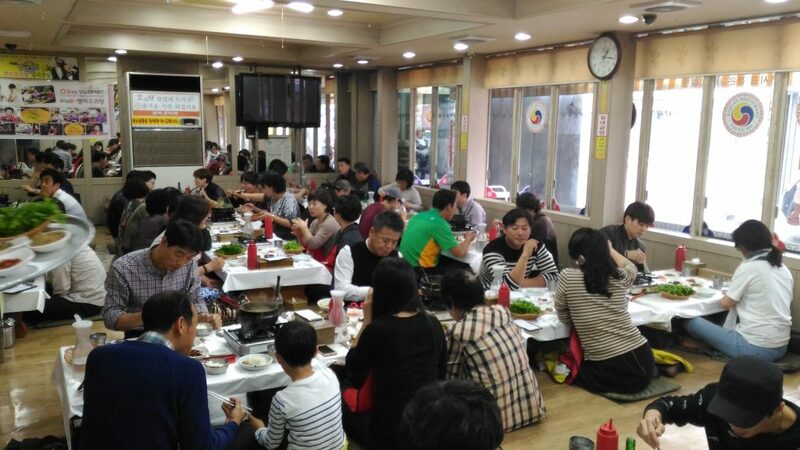 It’s probably the best place to eat duck stew. At the beginning of Duck street. It has floor seating with duck being cooked on your table (or keep it hot). 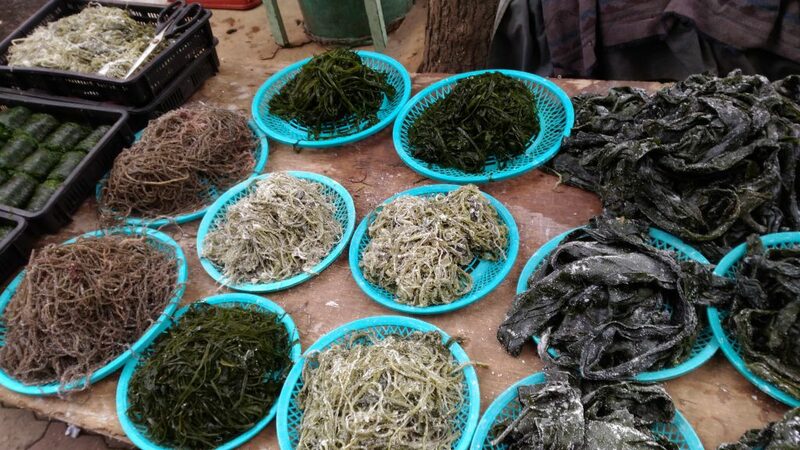 They serve lots of greens, rice or noodles to eat with duck. Of course there are lots of side dishes. It was great. Floor seating in Yeongmi Oritang. And its always full. Dishes on the table. On left top we have our main dish cooking. You serve yourself and into a small dish to eat. I used my hands but most people use chop sticks. Then we caught taxi to Gwangju Modern Arts Museum. We saw Eigth Climate exhibition. I found some of them very interesting and inspiring. 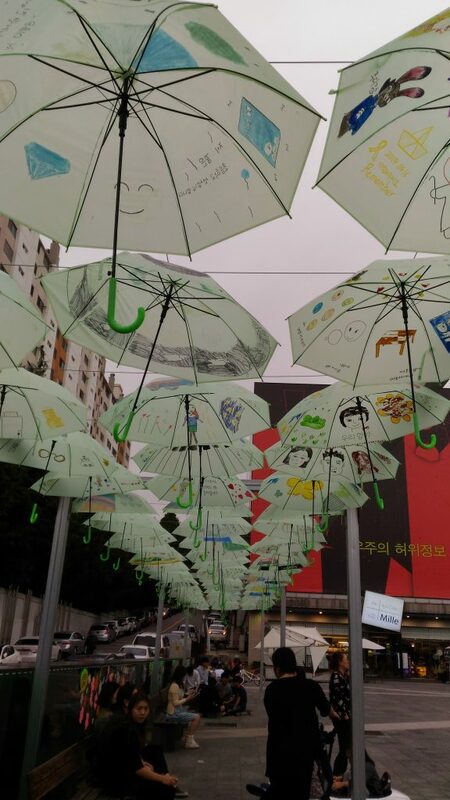 By children, drawings on umbrellas. We also got to see Autonomy Cube by Trevor Paglen and Jacob Appelbaum. Its a working sculpture which exposes a wifi hotspot for visitors to connect to internet. 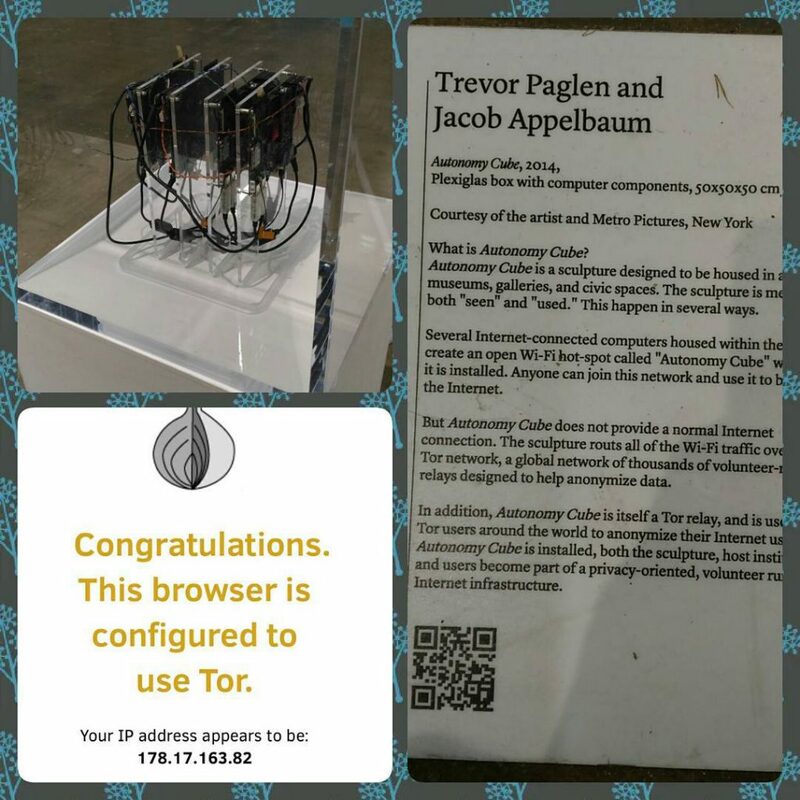 Users will connect to internet through TOR as this sculpture acts as TOR relay. Designed by activists. This one is an art piece and real tor relay. By then it was time to catch our bus to Mokpo. We wanted to reach early so we can sleep early. Next day we had a ferry to catch to Jeju. So we left Gwangju around 1720. 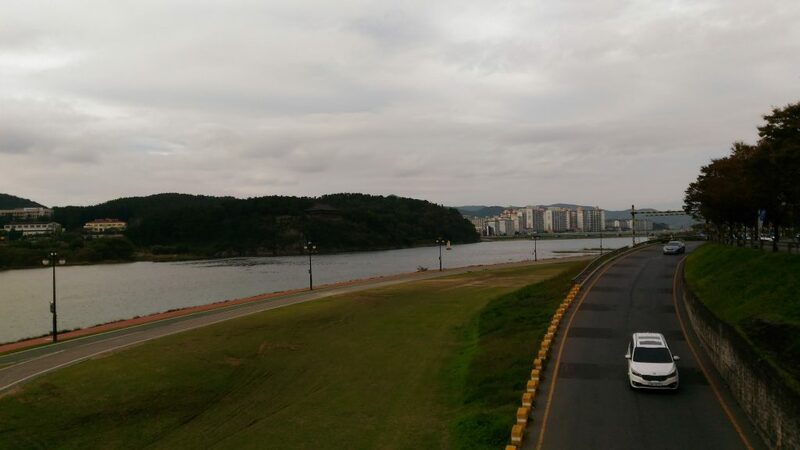 Reached Mokpo by 1840. Checked into a Hotel Windsor Royal which was close to Mokpo ferry terminal and slept.